I’m staying at the Zander K Hotel in Bergen. It won a price for its architecture. My room has very high ceilings, concrete walls with wood furniture, wall paper, atmospheric lights and a huge mirror. 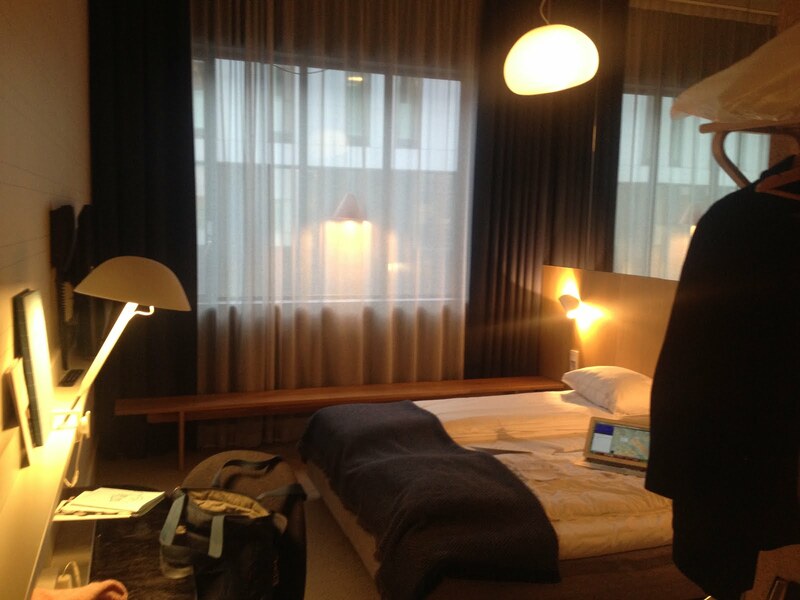 Zander K Hotel is close to the library and that's where Cecilie A. Storksom takes me on my first evening. The library has a café with nice sandwiches, salads and soups. 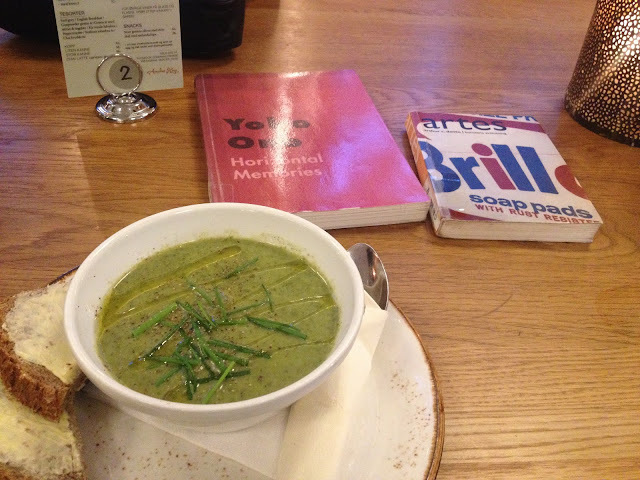 You can read books in the café and the first book I see is one about Andy Warhol. This is how I imagined Norway to be - perfect. Bybanen is the name of the new subway from the airport into town. It moves so smoothly that you feel like being in a better, more ecological future. We stop at places like "Paradisa" and every stop has a different jingle to it that is not loud or obtrusive but just playful, light and jazzy. I feel like I'm sliding into town. On my flight to Bergen I'm sitting in the back of the plane. I don't like sitting in the back because it's more shaky. But then somebody tells me that there's less air in the back so you fall asleep. This sounds good but at the same time it's also a bit discomforting. 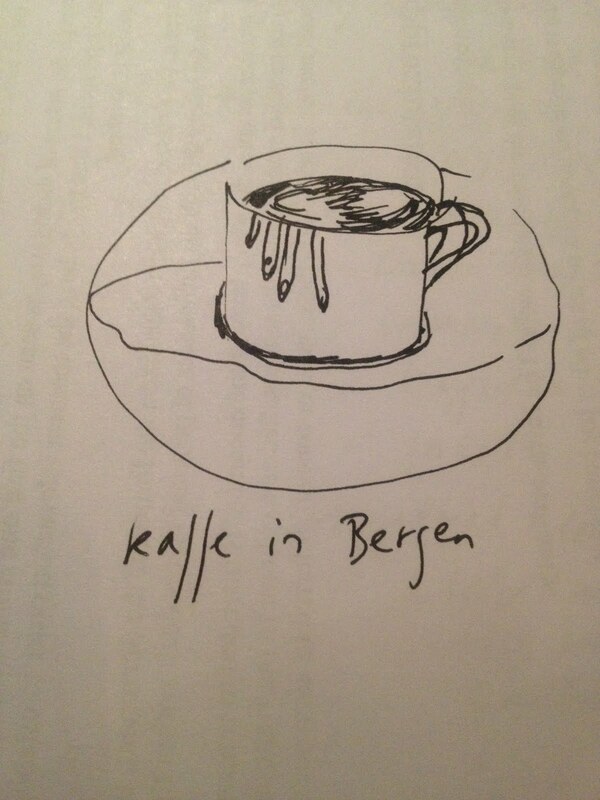 My neighbor in Berlin tells me that he only knowns about Bergen from a murder series on German TV. As it happens, when I am having breakfast at Zander K Hotel and draw my coffee cup, A. remarks on my drawing: “Are there fingers coming out of your coffee?” A murderous cup of coffee in Bergen? Bergen lies in between seven mountains. Cecilie tells me it's like an island. It rains a lot in Bergen because the clouds get stuck in between them. When Cecilie moved to Bergen, it rained for ninety days. I’m lucky; I'm there for three days and it’s blue sky all the way through. In a flyer of Bergen Kunsthall I see that Eileen Myles is teaching a writing class in March. I'm a big fan. Her workshop is called "Radical reading and silent writing practice with Eileen Myles." I'm a bit surprised at first and tend to have an allergy for the word "radical" but then I get it: it asks guts to do a silent writing workshop, doesn't it? I check Eileen Myles' website and see that she's also giving a "write-in" in London. At this "write-in" you can bring your work material and write in the vicinity of other thinking writing bodies. Kind of like writing in the library but then consciously... 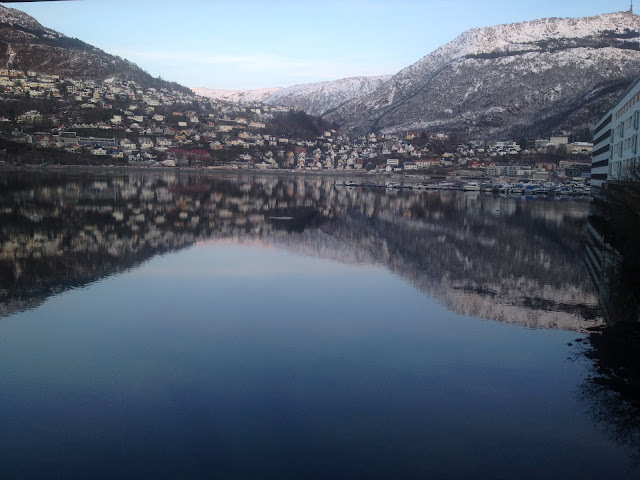 I myself always tend to over-prepare for my writing workshops with too many exercises, as I did for Bergen. I consider to be more radical in the future. During my gallery hopping night out, my attention is drawn to a vase of tulips in the corner of the art space. I’ve also noticed this in Helsinki. To put flowers in an art space looks like a competition in beauty in which contemporary art can never win. In the space with the tulips an artist performs a minimalist performance, drawing and erasing a white circle on a black background. It takes utmost concentration but I wonder if the artist took into account the flowers. On my way to Tag Team Space on Sunday morning, I see a lot of people walking around with ski outfits and ski equipment in the city center. Even a baby has something on its back that looks like a mini-sledge in the form of a green plastic bathtub. I Instagram a photo of what I'm told later is the most photographed view of Bergen: on a clear day the city mirrors almost perfectly in the water of the lake. I'm surprised to find out that there is no sauna culture in Norway. But there is one thing that seems to make up Scandinavian culture: coffee. People drink coffee all the time. Cecilie tells me her parents drink coffee till 11pm. She says they don't suffer from any effects although her mother sleeps lightly. Norwegians have different names for their coffee: "midwife coffee" is strong, "ferry coffee" is sour. They always drink their coffee black and don't understand the concept of a cappuccino. 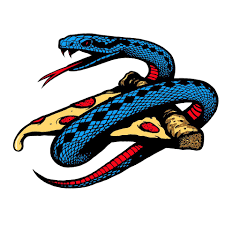 On the last night Cecilie takes me to a pizza place that has the name of a serpent: Hoggorm. It's the only serpent in Norway that is poisonous, Cecilie explains to me. "Cool," I say, and take a bite.